This section holds our selection of Fair Trade maracas from around the world. 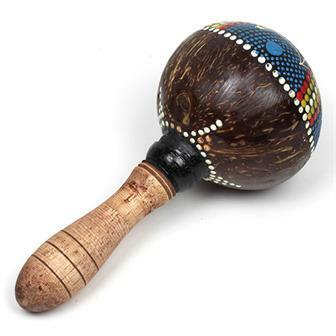 We stock colourful styles from a host of countries including Balinese maracas, Indian cabasas, carved Peruvian gourds and Ghanaian calabash shekeres. All create fantastic sounds and are great fun to play. 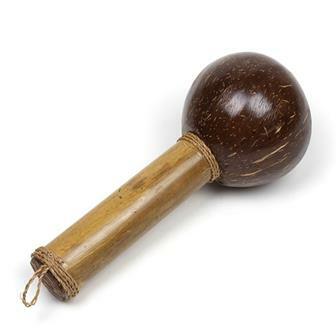 These wonderfully simple maraca shakers are made from a polished coconut shell fixed onto a bamboo handle. They are tremendous fun to play, sound wonderful and are great value for money. These colourful shakers are made by mounting a polished coconut shell full of beads onto a turned wooden handle. Each beautiful piece has been hand painted with a lovely sunny face design. These attractive shakers are made from a turned wooden handle and a chamber constructed of wound, glued rattan. This clever design gives the colourful shakers a pleasant, soft sound. 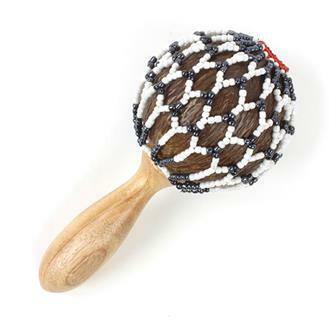 Inspired by the original African instruments, these cabasas are made from a dried, hollowed out gourd with a net of colourful beads on a turned, wooden handle. 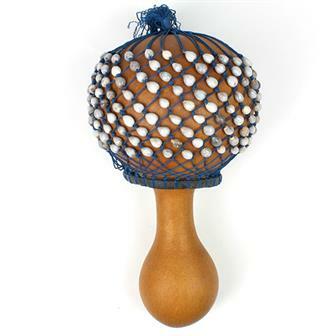 They are played by holding the netted gourd in the non-dominant hand and then twisting the handle back and forth to create a bright and crisp sound. 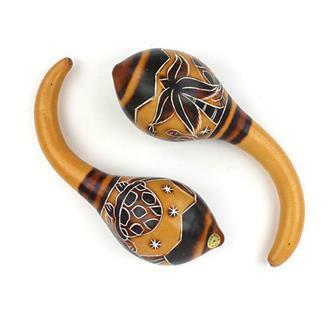 These highly decorative maracas are made from dried and cured gourds which are then hand carved. They sound beautiful and because the shapes of the gourds and the etching varies, no two are ever quite the same. This pair of excellent, crisp sounding shakers are handmade in India using polished coconut shells. Fantastic sound with a great tactile finish. 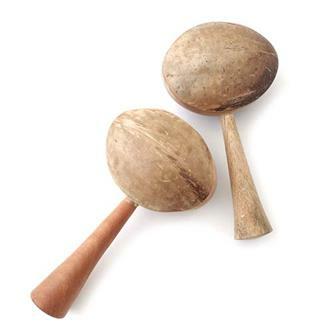 Made in Ghana these amazing instruments are made from a gourd with dozens of Job's tear beads. 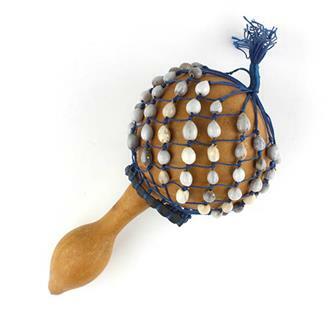 They are usually played held by the neck and percussed between the hand and leg, emitting a lovely 'chichichi' sound that goes brilliantly with djembe music. Their size varies, as the size of the gourd varies from season to season, but these are the Larger of the batch. Made in Ghana these amazing instruments are made from a gourd with dozens of Job's tear beads. 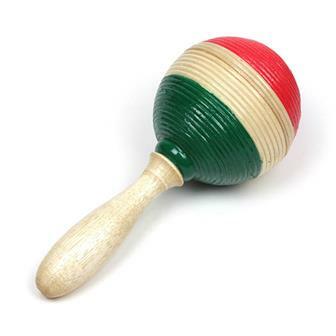 They are usually played held by the neck and percussed between the hand and leg, emitting a lovely 'chichichi' sound that goes brilliantly with djembe music. Their size varies, as the size of the gourd varies from season to season, but these are the smaller of the batch.